WASHINGTON (AP) — The transmission of now-classified information across Hillary Rodham Clinton’s private email is consistent with a State Department culture in which diplomats routinely sent secret material on unsecured email during the past two administrations, according to documents reviewed by The Associated Press. 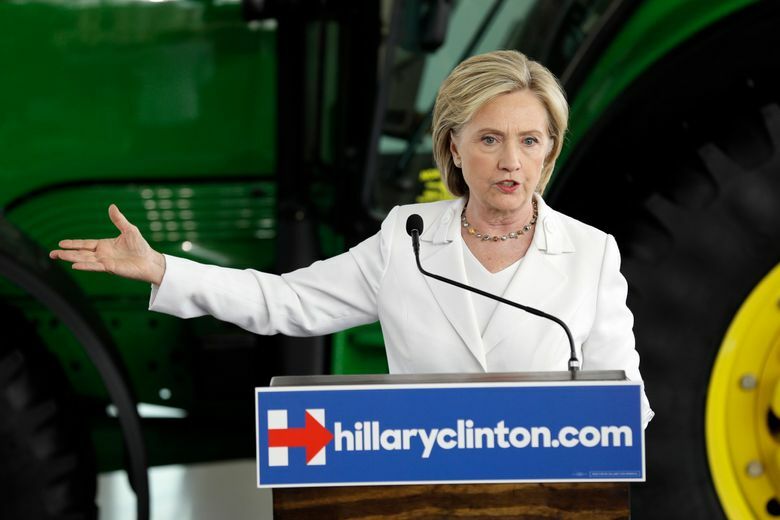 Clinton’s use of a home server makes her case unique and has become an issue in her front-running campaign for the Democratic presidential nomination. But it’s not clear whether the security breach would have been any less had she used department email. The department only systematically checks email for sensitive or classified material in response to a public records request. In emails about the 2012 attack on a U.S. diplomatic facility in Benghazi, Libya, department officials discuss sensitive matters in real time, including the movement of Libyan militias and the locations of key Americans. The messages were released last year under the Freedom of Information Act and are posted on the State Department’s website. An email from diplomat Alyce Abdalla, sent the night of the attack, appears to report that the CIA annex in Benghazi was under fire. The email has been largely whited out, with the government citing the legal exemption for classified intelligence information. The existence of that facility is now known; it was a secret at the time. In an email sent at 8:51 p.m. on Sept. 11, 2012, Eric J. Pelofsky, a senior adviser to then-U.N. Ambassador Susan Rice, gives an update on efforts to locate U.S. Ambassador Chris Stevens, who died in the attack. The email was marked unclassified when sent. Later, part of it was deemed classified and censored before its release. In five emails that date to Condoleezza Rice’s tenure as secretary of state during the George W. Bush administration, large chunks are censored on the grounds that they contain classified national security or foreign government information. These emails also are posted on the State Department website’s reading room. In a December 2006 email, diplomat John J. Hillmeyer appears to have pasted the text of a confidential cable from Beijing about China’s dealings with Iran and other sensitive matters. Large portions of the email were marked classified and censored before release. 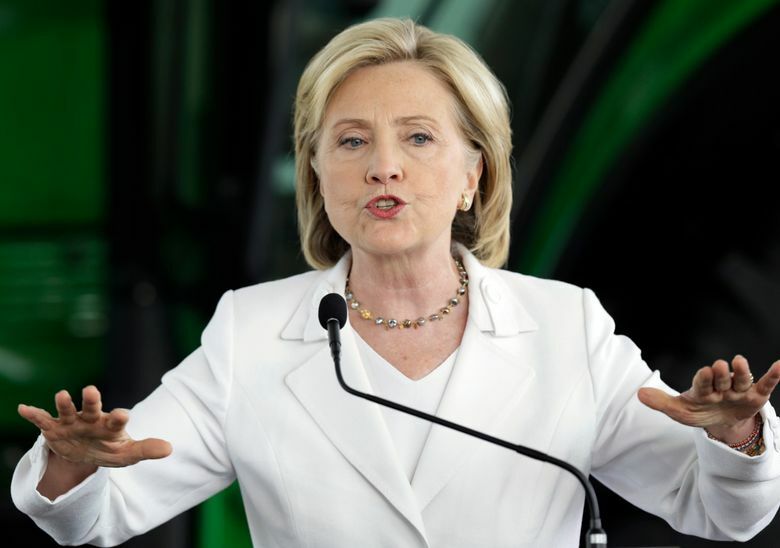 Clinton insists she didn’t send or receive classified information. But government officials have found material they deem classified in several dozen of 30,000 emails that the former secretary of state has turned over, an unfolding saga that has dogged her 2016 campaign. Many of the emails to Clinton containing classified information were forwarded to her by a close aide, Huma Abedin. Most, however, originated with diplomats who have access to confidential material. Some emails sent by Clinton have since been censored. Such slippage of classified information into regular email is “very common, actually,” said Leslie McAdoo, a lawyer who frequently represents government officials and contractors in disputes over security clearances and classified information. What makes Clinton’s case different is that she exclusively sent and received emails through a home server in lieu of the State Department’s unclassified email system. Neither would have been secure from hackers or foreign intelligence agencies, so it would be equally problematic whether classified information was carried over the government system or a private server, experts say. In fact, the State Department’s unclassified email system has been penetrated by hackers believed linked to Russian intelligence. That may be true, but it would not save a rank-and-file official with a security clearance who was caught sending classified information over email, said Bradley Moss, a lawyer who frequently represents intelligence officers. That person could lose his job, his clearance, or both. “In real life, the ‘everybody does it defense’ doesn’t fly,” Moss said. “Classifying information ahead of a release doesn’t necessarily mean information was mishandled, but it certainly does reflect the seriousness with which we take our obligations and the fact that over time, some of the circumstances in which information is being digested can and do change,” Gerlach said. The AP has asked the State Department to turn over records reflecting any concerns by agency computer staff or security officials over Clinton’s use of a private email server, but has received no responsive documents. There is no indication that any information in Clinton emails was marked classified at the time it was sent. But critics have said Clinton and her aides should have known not to discuss anything remotely secret over unsecured email. The emails show they were cognizant of security, routinely communicating over secure phone and fax lines. Clinton also had access to a classified messaging system, but it’s not widely used at the State Department. Most department officials in Washington and at embassies have on their desktops a classified network that goes up to “secret” level. A small number of State officials, including the secretary, can use a third system that goes up to “top secret” level in special secure rooms. But even the middle-tier “secret” network is cumbersome for many in the agency, said officials who would not be quoted when discussing internal security policies. Only a few top officials in Washington are able to read classified emails outside the department’s headquarters. Most ambassadors can’t open their accounts from home. Officials in the field may have no access at all. Lots of State Department information is meant for use, sharing and interaction with foreign officials, the vast majority of whom aren’t authorized to receive classified U.S. material. Associated Press writers Steven Braun, Bradley Klapper, Deb Riechmann and Jack Gillum contributed to this report. This story has been corrected to show that the last name of an adviser to former U.N. Ambassador Susan Rice is Pelofsky, not Pelovsky.